Proving all those who'd expected Ozzy to be buried by now embarrassingly wrong, the indestructible Mr. Osbourne lurches back into our speakers with a cracker of an album that is much heavier than expected (even with some of the vocals). 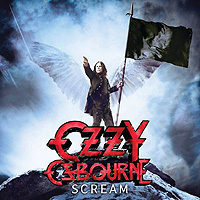 Produced by Ozzy together with Kevin Churko (the latter also acting as engineer), the album’s sound delivers crisp and decisive Metal hitting all the right punches, the most recognizable voice of the genre for many decades is still very much on point. Kicking off his solo career in the ‘70s / ’80s cross-over with axe-master Randy Rhoades (who died in a 1982 plane crash), other guitarists playing with him over the years have included Jake E. Lee and Zakk Wylde. 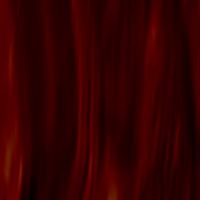 But on Scream Ozzy opted for Gus G of Firewind to avoid sounding too much like Wylde’s band Black Label Society (however the definitive Zakk pitch harmonic bends slip in). With the split opnion on The Osbourne's MTV reality show having some seeing Ozzy as a buffoon, while others found him hilariously entertaining with his unique persona, that is not his greatest accomplishment - his music is. With Ozzy’s solo career far outstretching his days with Black Sabbath in the ‘70s, this album is another testimony to younger bands on just how it can be done. May he Rock us for at least another decade. PS. Ozzy was also one of the guest vocalists on Slash’s 2010 solo album.